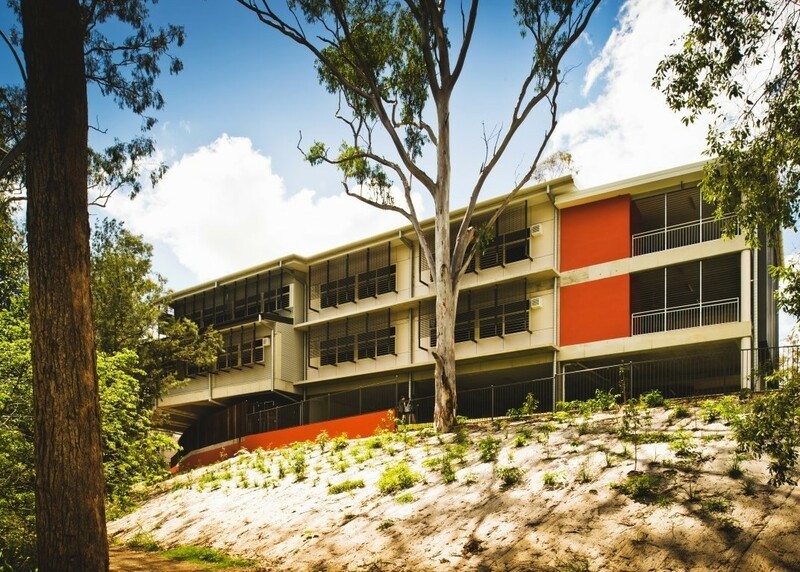 As part of reforms to Queensland’s education system, Kenmore State High School (SHS) was approved to facilitate the transition of Year 7 students to high school commencing in 2015. 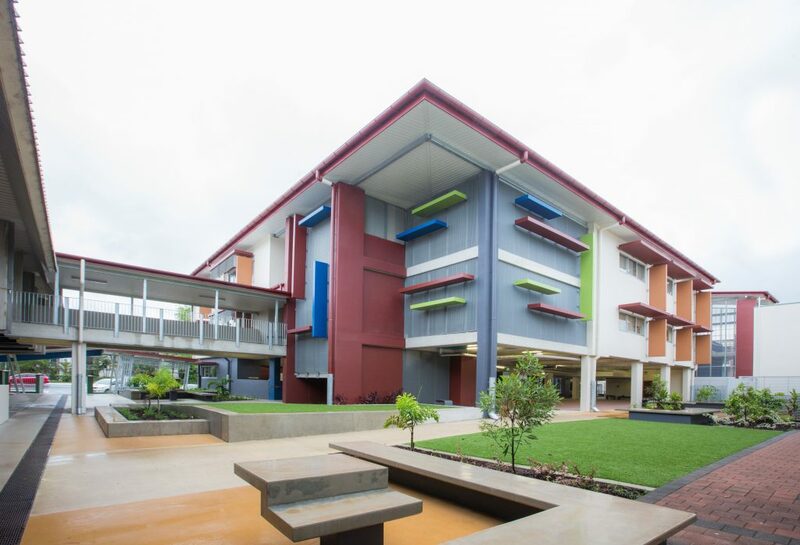 Subsequently, the FKG Group was engaged to construct two new buildings on the existing school grounds. 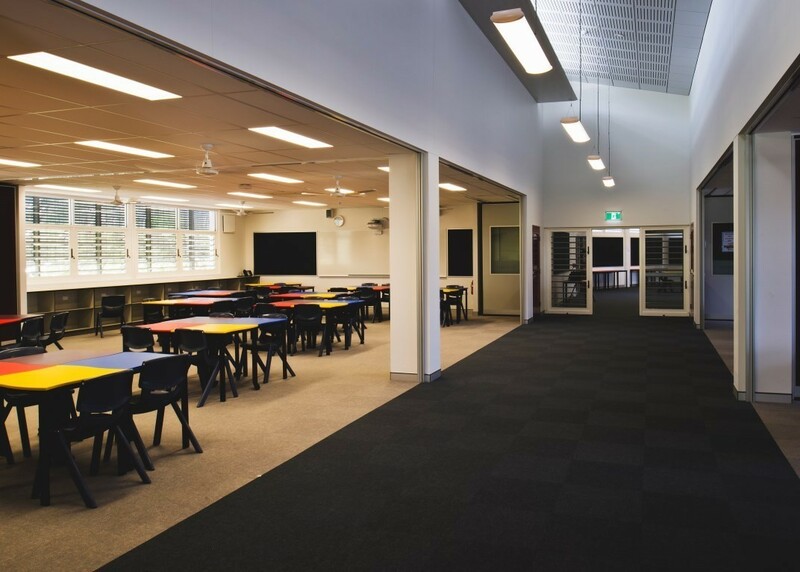 The first was a new three-level Year 7 facility and associated infrastructure on the site formerly occupied by the school’s Special Education Unit. 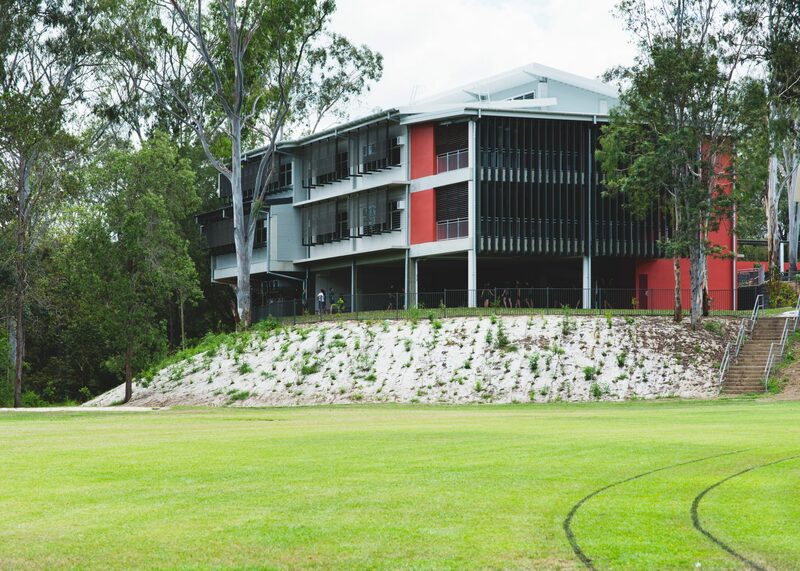 The second building constructed under the contract was a new two-level SEU building at another location within the school. 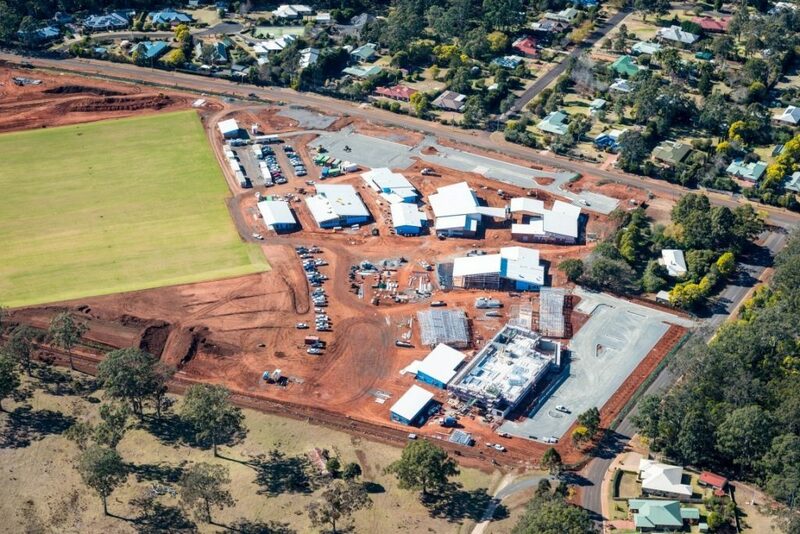 On-site activities consisted of groundworks, construction of concrete slabs and columns, and the use of structural steel, blockwork and timber trusses. 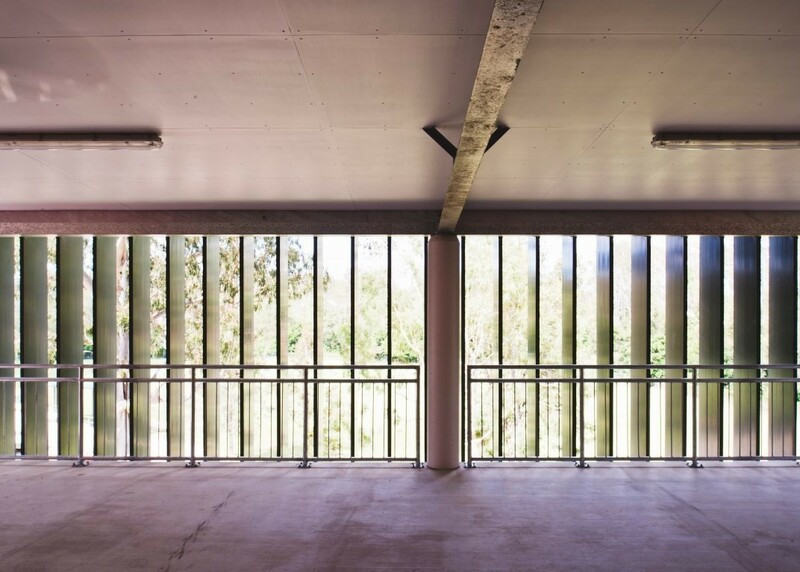 Also included in the scope was the installation of electrical, mechanical and hydraulic services, as well as lifts in both buildings to meet Disability Discrimination Act (DDA) standards. 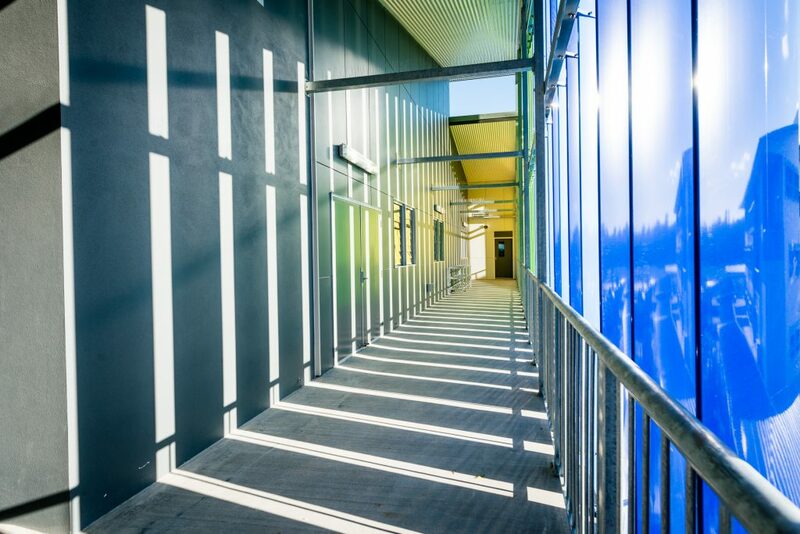 Given that works took place in an active school environment, noise reduction was crucial and access to both buildings was restricted, requiring careful management of the site to ensure minimal interruption to the occupied school buildings. 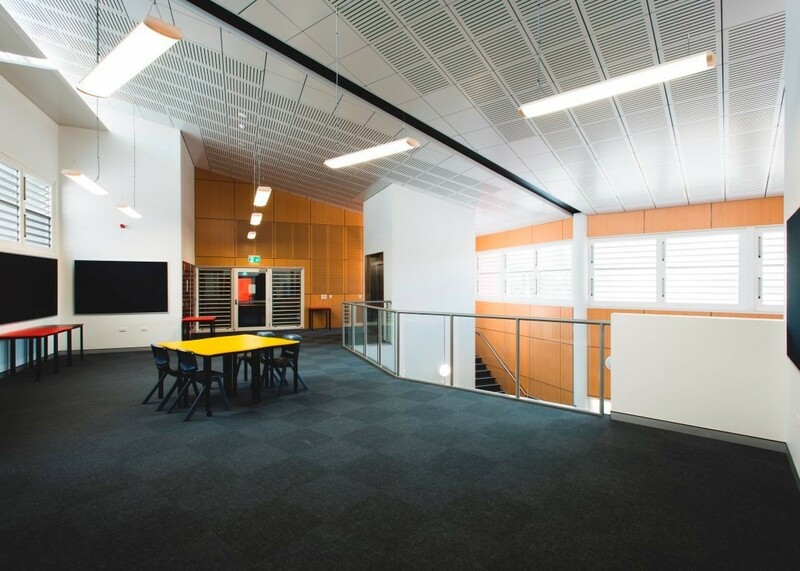 An effective working relationship with key stakeholders and regular liaison with the school, design team and neighbours was key to the success of the project.